CyberGhost vs. TunnelBear: Which VPN Is Better for You? CyberGhost and TunnelBear are two of the best VPN options to consider if you want better internet privacy, increased security when using public Wi-Fi, access to region-blocked content, and many of the other benefits of using a proper VPN. Both are paid services—CyberGhost has a seven-day free trial and TunnelBear caps data to 500MB per month for free users—but we wouldn’t have it any other way because paid VPNs are the only ones you should be using. The only question is, which VPN service is right for you? Here’s our side-by-side comparison of CyberGhost and Tunnelbear to help you decide. CyberGhost has a single premium VPN plan ($12.99/mo) with a hefty discount if you buy one year upfront ($5.99/mo) and a massive discount if you buy two years ($3.69/mo) or three years upfront ($2.75/mo). All of this with a 30-day money-back guarantee. With CyberGhost, you can protect up to five concurrent devices with one VPN plan. CyberGhost’s network provides around 3,500+ servers across 60+ countries worldwide on every continent except Antarctica. The paid plan allows for unlimited bandwidth and traffic. Tunnelbear has a single premium VPN plan ($10/mo) with a significant discount if you buy one year upfront ($4.16/mo). This makes it slightly more affordable than CyberGhost, but not enough to be a deciding factor. TunnelBear does not offer a money-back guarantee or refunds of any kind. With TunnelBear, you also get to use up to 5 concurrent devices with active VPN connections on all of them. TunnelBear’s network isn’t as wide as CyberGhost’s, but is still respectable at 22 countries. The actual number of servers is unknown. CyberGhost is available on Windows, Mac, Linux, Android, iOS, and most routers. Using the CyberGhost client could not be easier. The installation process is a breeze, and the app itself sits out of the way in the system tray. You have the option of auto-launching on system startup, auto-establishing connection on launch, and starting minimized so you don’t even notice it. There’s really nothing to “set up” with CyberGhost. You can toggle settings right in the dashboard, and when you’re ready, just click the big “Click Here to Start” button. If you want to connect to a specific country or server, it’s right there too. TunnelBear is available on Windows, Mac, Android, and iOS. It can also be used as browser extensions for Chrome and Opera if you only want your web traffic to go through a VPN connection without affecting apps outside your browser. The interface is different, but TunnelBear is just as easy to use as CyberGhost. It sits in the system tray, and clicking the icon brings up a dashboard where you can select a country and toggle the connection on or off. Not much else you need to do. We compared normal internet speed with speeds when connected to CyberGhost and TunnelBear, and we used three different speed testing services: Speedtest, TestMyNet, and Speakeasy. Due to the laws of physics and how the internet works, there will always be some variance when testing the speed of a connection. And because these VPNs are encrypted, we’d expect to see a slight decrease in speed when connected. That is indeed what we see here. All things considered, both CyberGhost and TunnelBear offer excellent speed and performance. CyberGhost defaults to the OpenVPN protocol on all supported platforms, which is the strongest and most secure VPN protocol currently available. If you don’t want to use the CyberGhost client, you can establish a VPN connection through some other means using OpenVPN, L2TP/IPSec, PPTP, or IPSec protocols. CyberGhost supports 256-bit AES encryption. Importantly, CyberGhost has a strict no-logging policy: IP addresses, server connections, login and logout times, traffic data, and all other information that gets transmitted through their servers are completely ignored—neither observed nor recorded. The only piece of recorded data is a once-per-day check to see if you used CyberGhost that day, and this information is deleted within 24 hours. 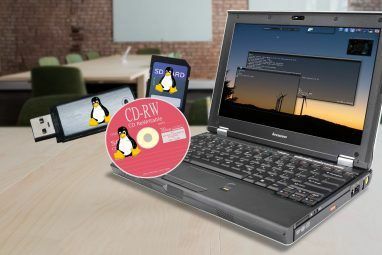 Other important features include DNS and IP leak protection as well as an automatic killswitch that halts your entire internet connection if the VPN connection is interrupted (to prevent the accidental transmission of unprotected traffic). CyberGhost is based in Romania, which is a privacy-safe country. TunnelBear defaults to the OpenVPN protocol when used on Windows, Mac, and Android but resorts to the IKEv2 when used on iOS. There is a severe privacy-related downside with IKEv2 The 5 Major VPN Protocols Explained The 5 Major VPN Protocols Explained OpenVPN, SSTP, L2TP: what do they all mean? We explain the major VPN protocols so you can choose the best one for your privacy needs. Read More , so we recommend avoiding it whenever possible. TunnelBear supports 256-bit AES encryption. Meanwhile, TunnelBear does log some data: OS version, client app version, whether you connected this month, how much data you used this month, and payment/transaction information. The following data is NOT logged: IP addresses, DNS queries, or traffic content. Other important features include Vigilant Mode (which blocks all incoming and outgoing traffic if TunnelBear’s connection is interrupted) as well as Trusted Networks (TunnelBear automatically turns on if you ever connect to a network that isn’t on your trusted networks list). 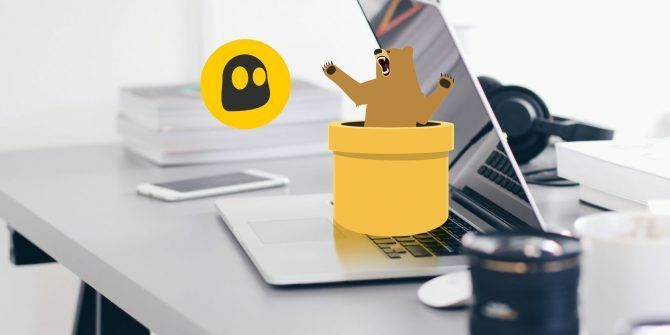 TunnelBear is based in Canada, which is a five-eyes country 8 Bad VPNs You Must Avoid to Protect Your Privacy 8 Bad VPNs You Must Avoid to Protect Your Privacy We highly recommend that all people use VPNs - but not all VPNs are worth using. In fact, some are so bad that you might be better off not using anything. Read More . 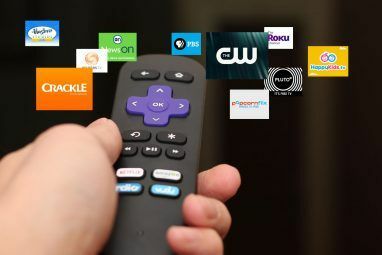 CyberGhost DOES successfully bypass region blocking on Netflix but does NOT for Hulu. It will allow access to region-blocked content on most other sites. CyberGhost DOES support torrenting for paid users on all of their servers except those located in the United States, China, Russia, and Singapore. Other useful features of CyberGhost include: the option to remove ads and trackers when browsing the web, protection against malware-ridden websites, forced usage of HTTPS, and web traffic compression to use less data. Unfortunately, TunnelBear does NOT bypass region blocking on Netflix or Hulu, but does work for accessing region-blocked content on most other sites. TunnelBear also does NOT support torrenting. All peer-to-peer file sharing ports are blocked when connected. 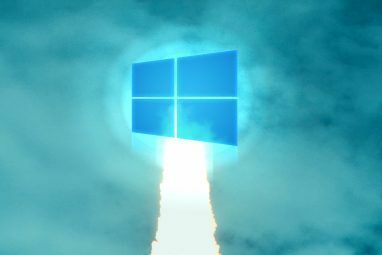 However, it does have an optional feature called GhostBear that “scrambles” your VPN connection so that governments and ISPs have a harder time detecting that you’re behind a VPN—but is only available in the Windows, Mac, and Android clients. Supports torrenting and bypasses Netflix’s region blocking! The only reasons you might prefer Tunnelbear is if you need the GhostBear feature to prevent governments and ISPs from detecting VPN usage, or if you really want the Trusted Networks feature (which is admittedly quite convenient). But for our money, we prefer CyberGhost. The 2-year plan is one of the cheapest plans you’ll find among top-tier VPN providers, and that’s the one we recommend. Explore more about: CyberGhost, VPN. So is ExpressVPN not the preferred program anymore? ExpressVPN is still a top-tier choice and our recommendation for anyone who can reasonably afford it. Both CyberGhost and TunnelBear are viable alternatives for those who want to spend a bit less. "Cyber Ghost - Based in a privacy-safe country"
How ironic and sad that Romania, a formerly dictatorial communist country is now a privacy-safe country while our own USA, the supposed leader of the free world, is no longer privacy safe! Sorry for the repeat - thought my first reply didn't go through. How ironic and sad that Romania, a former communist dictatorial country, is now a privacy safe country while our own USA, the supposed leader of the free world, is anything but privacy safe - both because of Big Business and Big Government!